pH is the level of acidity or alkalinity of the nutrient solution. Most nutrients in common tap water will be within the range of 6 to 6.5 pH which is suitable for Hydroponics systems. Optimum pH should be in the range of 5.8 to 6.2, out of that range decrease the plant’s ability to absorb nutrients. The requirements of Soil ph is not the requirements of Hydroponics pH. Do not confuse the two. 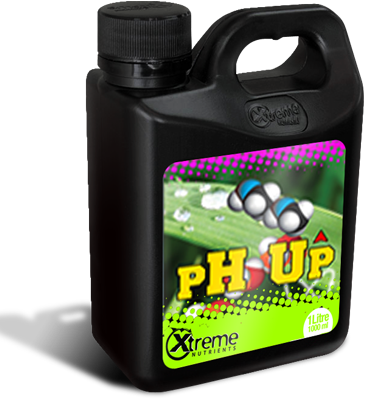 Maintain the pH level of 5.5 to 6.2 for hydroponics. Use small increments of pH uP when adjusting the nutrient solution to raice the pH level as required. The quantity necessary for pH adjustment will vary depending on the strength of the nutrients and the purity of the water used to mix nutrients.